While searching for some information about fishing — ice fishing in particular — I stumbled across several intriguing articles about a particular lake monster rumored to inhabit the water in Ohio around Lake Erie Shores and Islands. Now I’d heard of the Loch Ness Monster and even Champ of Lake Champlain, but never of this creature known as South Bay Bessie. Apparently, this sea serpent measures anywhere from 30 to 60 feet in length and was first spotted in the early 1800s by sailors. One report says that two brothers encountered a huge monster on the beach near Toledo in 1817. They described the unknown species as a 20 to 30-foot sturgeon with arms. The panicked brothers left the scene, but later returned and found silver scales the size of silver dollars where the creature had been. 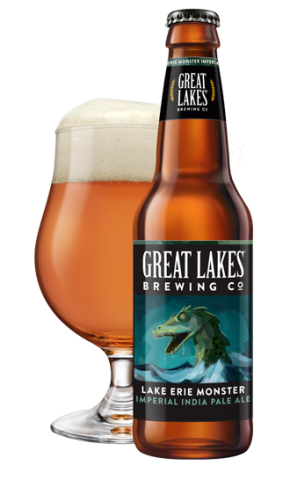 The unidentified aquatic creature has been spotted near Sandusky and Cedar Point and is so much a part of the local lore that Great Lakes Brewing Company in Cleveland sells a beer called Lake Erie Monster Double IPA that the company says pairs well with steak, aged cheese and tall tales. A local man also crafted a life-size floating replica of Bessie. This replica, Lemmy, can be seen anchored off Huron River. So, there must be some truth to it, right? As we all know, some fish stories have a way of becoming larger than life. I don’t know if this legend is a snake monster, a prehistoric ichthyosaur or a massive sturgeon, but wouldn’t it be a great story to tell around the campfire if you were the one who landed that massive trophy? I’m not getting my hopes up, but I’m assured the waters surrounding Lake Erie’s Shores and Islands are year-round hotspots for walleye, perch, smallmouth bass and catfish. South Bass Island/Put-in-Bay – During winter when the harbor freezes, the landscape is dotted with colorful ice shanties. Walleye, yellow perch and smallmouth bass fill the waters here. Middle Bass Island – This island of flowers includes beaches, marinas, a historic district and a wildlife refuge. Perch, smallmouth bass and walleye are caught here. Kelleys Island – The largest of Lake Erie’s islands is a bird lovers’ paradise. Rocky shorelines and pristine beaches along with miles of hiking trails and a friendly downtown district makes this a good choice for nature lovers. Kelleys Island is a hotspot for catching smallmouth bass, yellow perch and walleye. Port Clinton – The “Walleye Capital of the World” features world-class fishing, boating and beaches. At different times of the year and around the islands fishermen catch steelhead trout, white bass, rock bass, largemouth bass and other species. 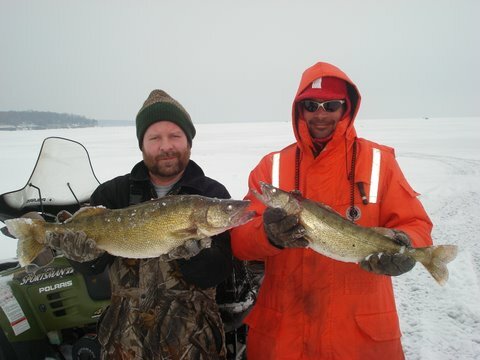 For more information about fishing at Lake Erie Shores & Islands, visit www.shoresandislands.com. You Gotta Know When—And How—To Fold ’Em!